I didn’t run at all this week. By mid-week, my shin was still hurting, so I got an appointment at an orthopedic clinic to find out what was going on. The diagnosis is shin splints, so I was prescribed no running and an anti-inflammatory. 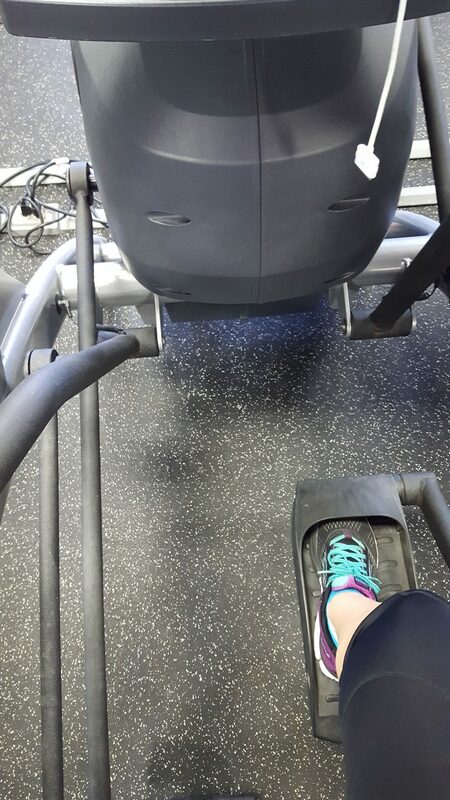 Feeling the need to do something, I went to the gym Saturday morning to get moving. Big mistake! It was crowded and hot. It felt like the heater was cranked up to 80 degrees. To top it off, all of the bikes were in use. I used the rowing machine for a bit, and then tried the Arc Trainer. My shin started hurting on the Arc Trainer, so I wasn’t able to do it for very long. Finally, one of the bikes was free, so I got in about 20 minutes on it. Thursday, we had a few snow flurries and a lot of wind. Friday, we spent a while at the drivers license office so that Hannah could get her learners permit. Cowtown Training Week 11: Happy Freezing New Year!